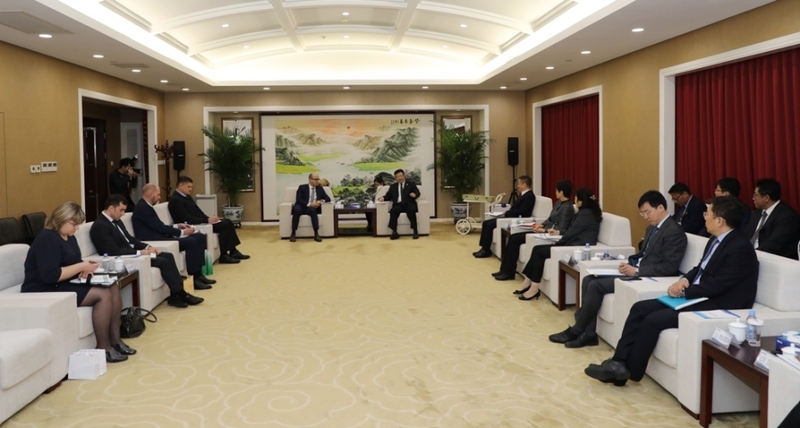 Ambassador of Belarus to China Kirill Rudy visited SINOMACH, Chairman Zhang Xiaolun of SINOMACH hosted the delegation and held talks on the morning of 25, February 2019. Vice President Bai Shaotong of SINOMAHC and Chairman Luo Yan of CAMCE as companions attended the talks. Both sides exchanged views on China-Belarus Industrial Park and 400,000t/a Bleached Kraft Pulp Plant Project in Belarus. Chairman Zhang said SINOMACH and its affiliated companies would deepen mutually beneficial cooperation in multiple fields with higher level to implement the comprehensive strategic partnership and contribute more to economic and trade cooperation between China and Belarus. 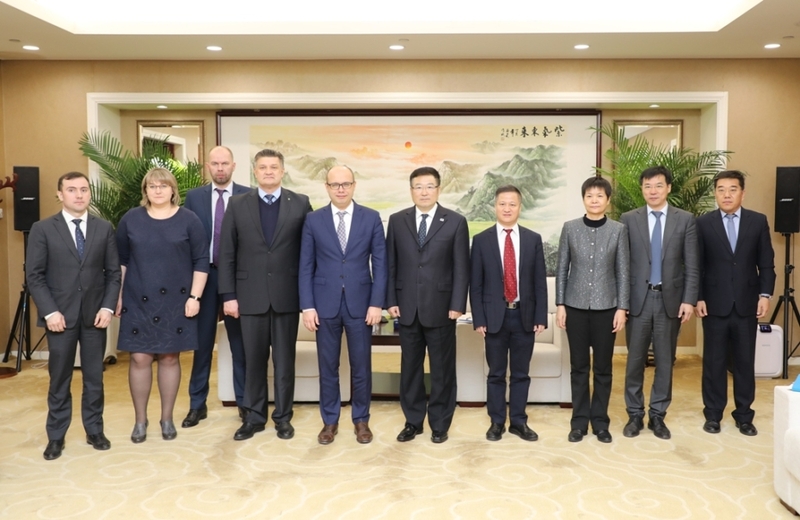 Ambassador Rudy conveyed the greetings of Vice Premier Igor Lyashenko of Belarus to Chairman Zhang, and hoped both side could take the China-Belarus Industrial Park as an opportunity to explore new areas of growth. 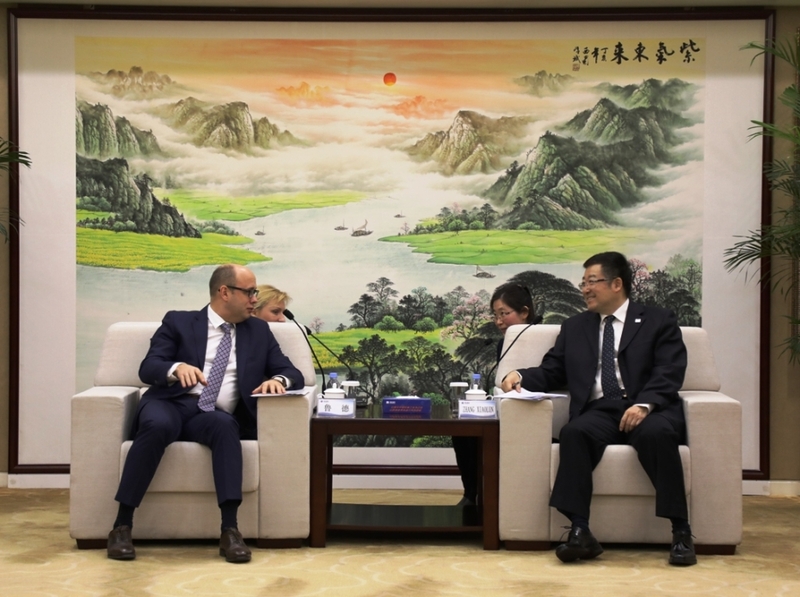 The Commercial Counsellor Kharlap Tatyana and Counsellor Bobrovich of Embassy of Belarus to China, Vice Director Hao Ping of Strategic Investment Department of SINOMACH, Vice President Wang Yuhang and Vice President Li Haixin of CAMCE attended the talks.